Land Transportation Office (LTO) 7 director Emmanuel Caindec on Saturday expressed optimism that the massive backlog in driver’s license printing in the province will be solved within four months. This was after the LTO launched a temporary offsite printing office (TOPO) at the fourth floor of the Alturas Mall in Tagbilaran City which was established to boost processes of the agency. According to Caindec, the TOPO can print 10,000 driver’s licenses each month based on the performance of other provinces which have established the same printing sites. He said that there has been a printing backlog of 43,000 driver’s licenses since 2016. However, the number started to slightly decrease since January, 2018 after the LTO in Bohol commenced printing licenses with 5-year validity. 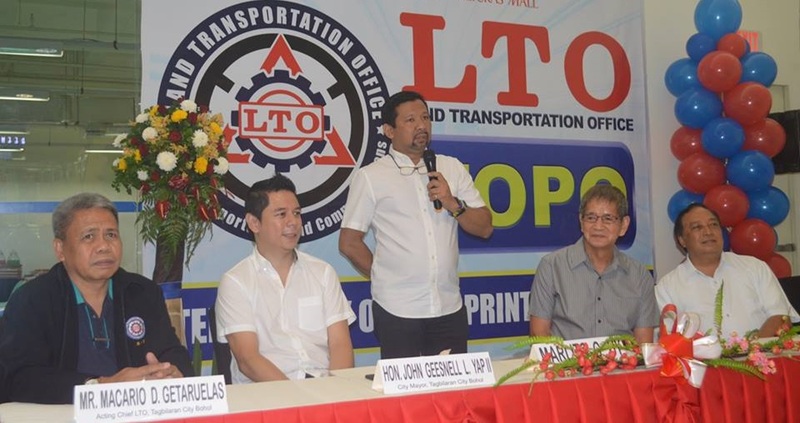 The LTO led by Caindec inaugurated the TOPO after the signing of a memorandum of agreement with the Alturas Group of Companies. Alturas Mall’s TOPO operates from 10 a.m. to 7 p.m.
Payment will no longer be required from clients who already had their applications processed.